During swimming, it’s very important that you calm all your nerves. One way to do it is to think about your favorite song. While swimming front crawl, get a good push off from the wall and do 6 dolphin kicks. I suggest you breathe every 3rd stroke and let out the air underwater, through your mouth. It is important that you do this or you will get stomach cramps in no time. 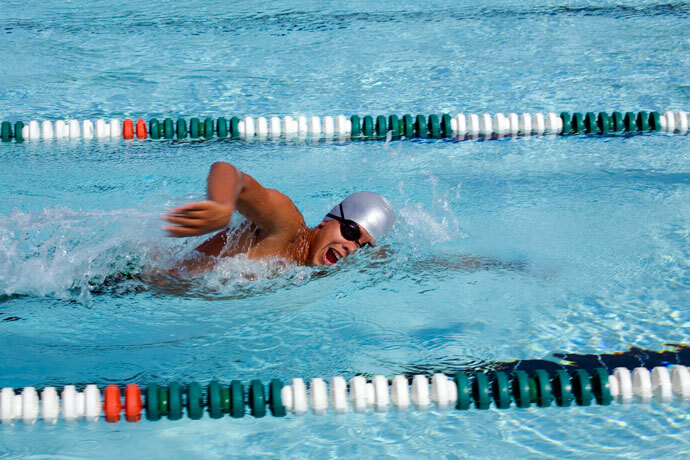 If you want to be a fast swimmer, then it will take time and practice. Grab your kickboard and do flutter kicks. And do front crawl pulls (just front crawl hands) using the pull buoys. (Put the pull buoys between your legs). Also, have your snacks three hours before you start your swimming training. Always keep a water bottle with you while you are training. And take a sip whenever you feel like it. Nice tips, Zach! Thanks for sharing them with us.